This entry was posted in Agronomy, Machinery and tagged agriculture, agricuture, corn, cows, crops, dairy cows, dairy farm, dairy farming, dairy farming today, factory farming, farm animals, farmer, farmers, milk, Modern Agricuture, modern farming, organic farming, production agriculture, Production agricuture, sustainable agriculture, sustainable agricuture, Wisconsin dairy farming. Bookmark the permalink. 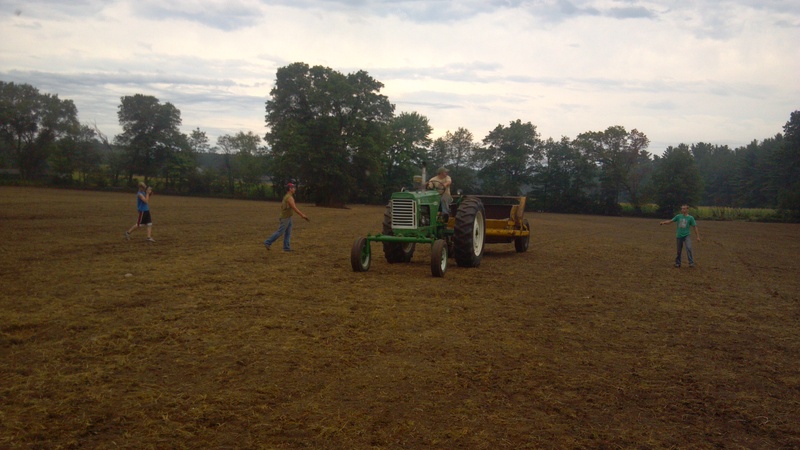 Do you ever leave the tractor in low gear and letting it drive itself across the field? The poor driver shouldn’t have to miss all the fun of picking! Nope, I’m the guy taking the picture! Just took a quick break from picking to take the picture. oh oops…maybe I need to get my eyes checked!